Not our video but it is a great sample to show why a truck mounted steam cleaning service is the best way to clean your carpets. For the best carpet cleaning in South Jersey contact us today! 1. Flush stain with cool water. 2. Mix one tablespoon of white vinegar and 1/2 teaspoon of liquid laundry detergent with one quart of cool water. Soak in this solution for 15 minutes. 4. If the stain remains, sponge the stain with rubbing alcohol and rinse thoroughly. 5. Launder, using chlorine bleach, if safe for the fabric. 1. Mix one tablespoon of white vinegar with 2/3 cup of rubbing alcohol. 2. Using a clean white cloth, sponge the stain with the vinegar/alcohol solution. 5. If the stain remains, mix one tablespoon of ammonia (Caution: Never mix chlorine bleach and ammonia - the resulting fumes are hazardous) with two cups of warm water. 1. 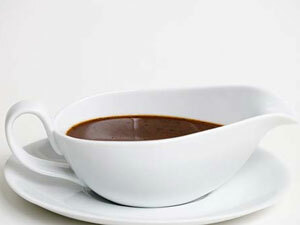 Scrape off excess gravy. 3. Launder, using the hottest water safe for the fabric. 2. Sprinkle baking soda, cornstarch, or other absorbent on the stain. Let stand 10 to 15 minutes, and then vacuum. 3. Using a clean white cloth, sponge the stain with a dry-cleaning solvent. 4. Blot until the solvent is absorbed. 2. Sprinkle baking soda, cornstarch, or other absorbent on the stain. Let stand for 10 to 15 minutes, and then vacuum. 5. Repeat Steps 3 and 4 until the stain disappears or is no longer absorbed into the cloth. 6. If the stain remains, mix one tablespoon of liquid hand dishwashing detergent and one tablespoon of white vinegar with two cups of warm water. Sponge the stain with this solution. Blot until the liquid is absorbed. 7. Sponge with cold water and blot dry to remove the detergent/vinegar solution. Thanks to Good Housekeeping for these effective tips. If you still need help with your stains make sure to Foggs Carpet Cleaning! Many of our carpet cleaning customers in Long Port, Vintner, Linwood, Somers Point and Egg Harbor have asked about Foggs Carpet Cleaning rug repair services. We can replace the fringes, bind the ends with matching cloth binding or do thread surging. These will all give your rug a new appearance and is worth it if the rug is in otherwise good condition. 1) What is the cost of repair? Answer: We do not know until we see the size and type of damage. When we pick up the rug for cleaning (it should be cleaned before being repaired) we can measure it and give you an exact price. 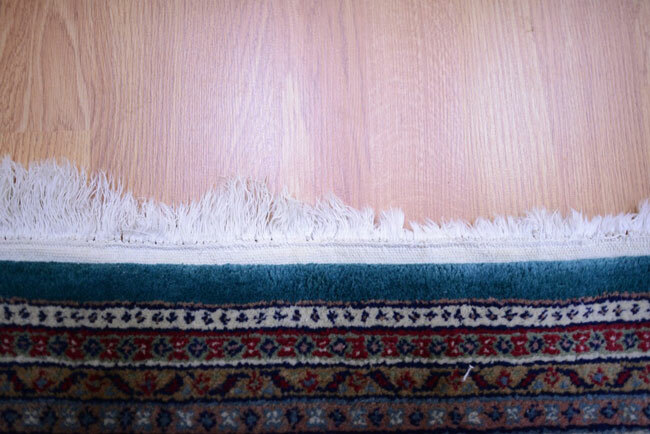 If you have an approximate idea of the length of the ends that need repair we will need to also know how thick the rug is in order to determine if the rug can be bound or surged. We will then give you an estimate of the cost. Then you can decide if you want us to do the required repairs. 2) How long does it take to fix my rugs? Answer: Usually it takes between 1 to 2 weeks for regular repair after we receive your rug. We will inform you when your rug will be ready. If you need it back in a hurry, please let us know but there may be an extra charge. 3) How do you clean my rugs? The answer depends on what the rug is made of. It may be wool (which more common with oriental rugs) or it may be silk (this is not so common) it may be sizzle or even nylon. No matter what kind of rug it is we start by vacuuming it with powerful vacuum cleaners. Then it is cleaned using the hottest cleaning water and solution for your particular type of rug. Then they are hung to dry. 4) How about if I want to store my rug? Answer: We can store your rugs for you at a minimal monthly charge. Maybe you are getting work done in your house and need the rug stored in a safe place. Our climate controlled warehouse is the best. However, if you prefer to store your own rug after we have cleaned it then we will gladly paper wrap it for you for no extra charge. 5) Can you put Protector on my oriental rugs? Absolutely! Protector can extend the life of any rug or carpet. There is an additional charge but it is worth the investment. 6) I have a very large area rug, would you send your team to my house? YES! Depending on where you live in South NJ, we are able to estimate the cost of cleaning your rug which will include pickup, cleaning, deodorizing and delivery. If you are out of our delivery area there may be a nominal fee for pick up and delivery. Contact us for a quote on this fee. Or you may want to deliver and pick up your own rug to our location. We offer a discount if you want to do this. Shop Smart: How Do I Choose a Quality Area Rug? They’re really rather amazing, area rugs, creating maximum impact in minimum space, sparking visual interest, adding welcome cushioning, and muffling the sounds of foot traffic. Between a $10,000 Persian and a cheesy runner from the dollar store lie dozens of options. Let us walk you through the wide array of affordable, high-quality floor coverings available now. If you change your decor nearly as often as you change your outfit, choose synthetic rugs — polypropylene or nylon — which provide water- and UV-resistance at low prices. A 5' by 8' can be had for less than $100. Nylon is the higher quality of the two because of its bulk (yarn made of polypropylene fibers can get crushed over time), plus it holds color well. But both synthetics are excellent at masking dirt. Cotton rugs, $50 and up, are an even more affordable choice, but they can stain and wear out quickly (though you can throw them in a large washing machine). Want something eco-friendly? Plant-based fibers such as sisal, jute, and bamboo are not only biodegradable but made from renewable resources. Especially good for sunrooms or outdoor use because they shed water easily, plant-based fibers are difficult to clean and may last only a few years with heavy use; still, they start at a low $100. Entertain often or need a stylish floor covering for a high-traffic area? Check out wool. The fibers are naturally stain-resistant and don’t flatten easily (just vacuum regularly to revive). Wool rugs should last decades, but you pay for the durability: They start at $300 and run as high as that pricey Persian, which can range from $200 for a machine-made 5' by 8' replica up to thousands of dollars for an authentic hand-knotted one (more on both of these methods below). Hand-knotted rugs are the gold standard — they’re the most durable, have the finest details, and should survive generations. And though the hand-knotted technique is ancient, originating in Persia, it’s still used on contemporary rugs. The more knots per square inch, the better (they can vary from 40 to 1,200). Next best thing? Hand-tufted rugs; they’re half man-made, half machine-made. (You’ll see the term “handmade,” but it’s essentially meaningless.) Check the underside of the rug — if you see the pattern in reverse, it’s a hand-knotted piece; if you see a backing, it’s hand-tufted. And on any hand-knotted or hand-tufted rug, look for the RugMark label, which means it was made without child labor. Machine-made rugs generally cost less than a third of the price of hand-knotted versions. Size Wise: How Big, How Small? An area rug is meant to give a room a focal point. If the rug is too big, it just looks like wall-to-wall carpeting; if it’s too skimpy, it fails to draw the eye and make the room inviting. (Worst-case scenario: It looks as if someone accidentally left a towel on the floor.) Consider comfort when you choose thickness. For the bedroom, allow three feet of rug on either side of the bed if you and your partner both want a soft landing in the morning (your nightstands should be on the rug as well). In the dining room, be sure the rug is large enough to fit beneath a chair that’s pushed back from the table, then add six more inches. In the living room, personal preference rules. Furniture that’s half-on, half-off the rug creates a casual look; furniture entirely on or off is more formal. Finally, a rug’s price should match the cost of other major furniture in the room. In a living room, for example, the floor covering should be about the price of the sofa. Now that you know how to spot a quality area rug, check out Foggs Carpet and Rug Cleaning for quality rug cleaning and restoration!